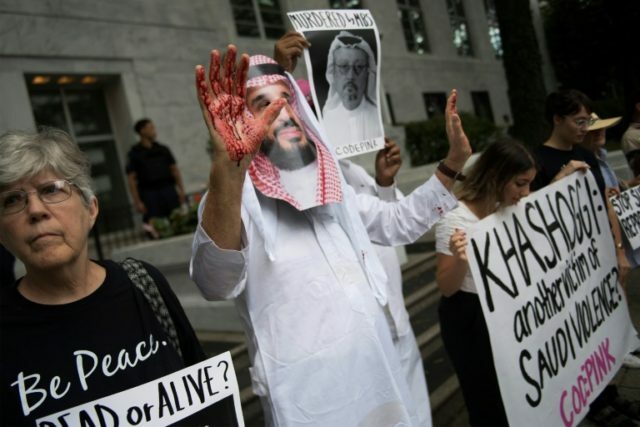 Saudi Arabia’s statement came in the wake of Jamal Khashoggi’s alleged murder in the Saudi Consulate in the Turkish capital of Istanbul. “It’s being looked at very, very strongly. We would be very upset and angry if that was the case,” President Trump told CBS’s 60 Minutes on Sunday. Like much of the coverage of Khashoggi, that claim was based on anonymous sources. Turkish authorities have let it be known, although indirectly through leaks to the media, that they have enough evidence to conclude that Khashoggi was tortured, killed and dismembered when he visited the Saudi Consulate on October 2. Furthermore, it has come to light U.S. intelligence intercepted conversations among Saudi officials regarding plans to abduct Khashoggi from his home in Virginia and forcibly take him to Saudi Arabia. As it turned out, Khashoggi seems to have walked into the lion’s den of his own accord. Saudi Arabia has used its clout over the oil economy as a weapon, particularly when it led an Arab oil embargo during the war between Israel and an alliance of Arab states in the 1970s, Bloomberg pointed out. So far, Trump has resisted American senators’ call for the U.S. to cut tens of billions in arms sales to Saudi Arabia over the disappearance of Khashoggi, saying doing so would only push the Saudis towards Russian and Chinese weapons.